Enjoy hiking on the new 1/2 mile trail on your own property! 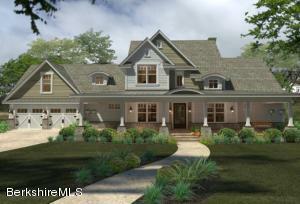 The Best of Berkshire living Inside & Out in this 2006 built Contemporary. 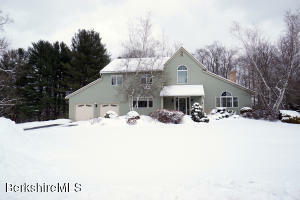 8+ acres of privacy as home is situated on a private driveway set back off road in beautiful Bally Hooly Estates Becket. 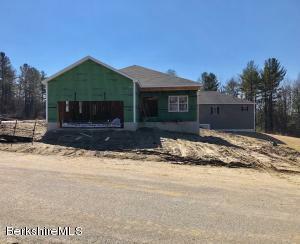 Built well with attention to detail, cathedral ceiling in great room, hardwood flooring, 9' ceilings & minimal maintenance w 50 year roof & vinyl siding, Basement boasts 10 1/2' ceilings-plenty of room to finish. Home is bright and roomy throughout. Fabulous kitchen leading to deck for outdoor entertaining. 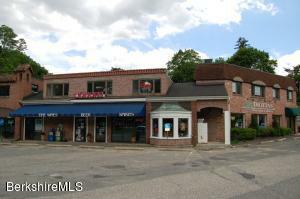 Highly desirable retail location along Route 7 on the south side of Great Barrington. Within 1/8 mile of the entrances to Big Y, Guido's and the Great Barrington Fairgrounds. Located in the B-2 zoning district, this building is currently a mixed use property with retail downstairs (Wild Bird Country Store) and apartment upstairs. 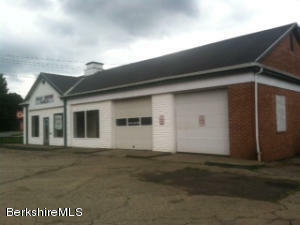 Ample on site but off street parking, this property also includes a garage that is currently used as storage for the retail store. 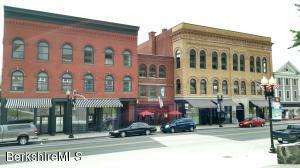 Attractive building with character, in good condition, and with lots of possibilities. Two turn of the century downtown buildings ready for final finish. Between current & previous Owners their have been significant amounts of money invested In the property. Final development and plans consist of 12 high end apartment units, 7 commercial spaces and numerous 2nd floor office & artist spaces, Large parking lot, new roof, existing cash flow with current tenants. Owner will consider some financing! Former Fire House Cafe Building is not part of this package. 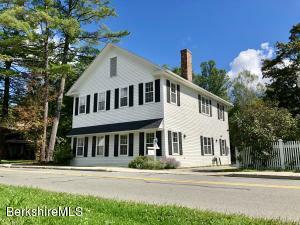 **NEW PRICE** A short stroll from the Red Lion Inn and downtown Stockbridge. Prime Residential / Commercial Building. Fully updated and well maintained. 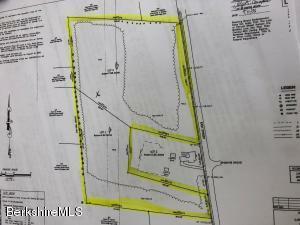 Large private Parking lot on almost a half-acre of land. Ideal for Residential / Condos, Mixed-use, Professional offices, Hair Salon/Spa, Studios, Restaurant or Retail. **Now available at under assessed value for quick sale. 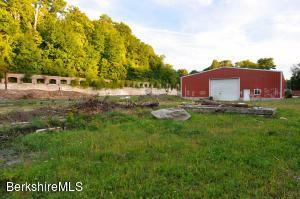 Centrally located open raw land! Land can be purchased separately or as one large parcel! See MLS #'s223263 &223264 Public utilities available. Ideal spot in The Pines! 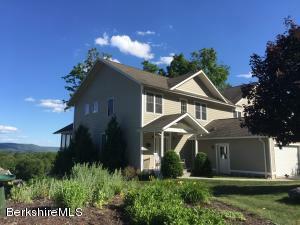 With amazing views of the Berkshire hills, this well-appointed, customized condominium townhouse offers three finished levels of living space. On the first floor, the open-plan comprises a great room with vaulted ceilings & gas fireplace, cook's kitchen, bright dining area, and screened porch, all convenient to the spacious first- floor master suite. 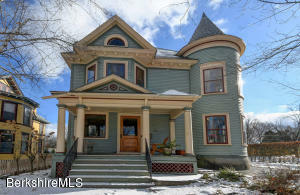 Upstairs, two light-filled bedrooms with shared bath afford beautiful mountain views. The fully finished walkout lower level is equipped for entertaining with surround sound and a commercial bar. This is a premier location, close to Guido's and other shopping, minutes to Tanglewood and other cultural venues, an easy drive to restaurants, steps from skiing at Bousquet! 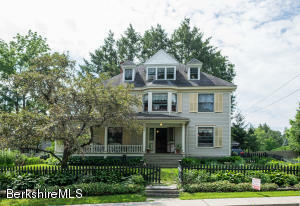 This Beautiful Berkshire home is currently being used as a B&B and during the ownership it's had many guests, from locals, repeat customers to famous folks!Go on WWW.harbourhouseinn.com or call 413-441-6644 and ask for Jen for info on the special guest coming Nov.17th to do a house concert! (Limited seating) Or make reservations to garentee a seat!This Inn is rich with history and is in close proximity to most cultural events in the area. 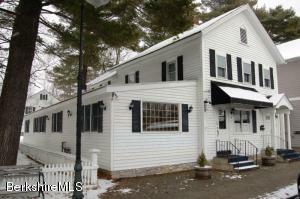 Whether you enjoy theatre,skiing,Tanglewood,museums, hiking,shopping,fine or casual dining, this Inn offers it all! Or maybe you just want to kick back and relax in a country setting with mountain views and lush grounds from the open porches! Perhaps a new owner wants this as their personal home! (will come furnished! )It's a turn key operation! Wow! 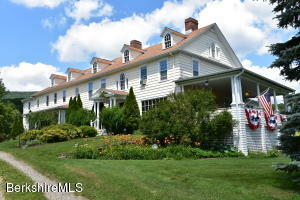 This Beautiful Berkshire home is currently being used as a B&B and during the ownership,they have had many local and repeat and even famous folks!Go to WWW.harbourhouseinn.com or call 413-441-6644 and ask for Jen about details concerning special guest arriving on Nov.17th who's doing a house concert! The Inn is rich with history and is in close proximity to most cultural events. Whether the guests like the Theatre, skiing, Tanglewood, museums, hiking, shopping, fine or casual dining or some of each, this Inn offers it all! Maybe your guests just want to kick back and relax in a country setting and take in the beautiful mountain views and lush grounds from the open porches! As a new owner you may want this as your personal home! This B&B will come furnished! This is a turn key operation! Rare opportunity to own this unspoiled 1910 Late Victorian flanked by a wraparound columned porch on the hill in Great Barrington. Gracious center hall with half turn staircase, original pocket doors, windows five feet across by six feet high, with original glass and brass hardware, bead board, wood floors throughout, butlers pantry, and three floors of living space. Enthusiasts of period details and history will delight in this beautiful home without compromising contemporary tastes for light filled rooms and generous proportions. 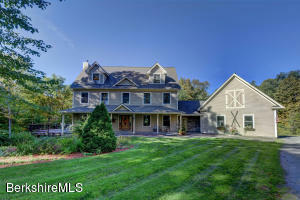 PRE-CONSTRUCTION PRICING ON A STUNNING NEW COLONIAL FARMHOUSE. TO BE BUILT. WITH AN OPEN GREAT ROOM AND FIRST FLOOR MASTER SUITE LOCATED IN THE EXCLUSIVE GATED COMMUNITY OF WOODMONTE ESTATES. THIS HOME IS EVERYTHING YOU COULD HOPE FOR. Features spacious kitchen with island and walk-in pantry, dining room, study (office), gas fireplace, 4 bedrooms, 4 baths and enormous bonus room on 2nd floor which could be a 5th bedroom. 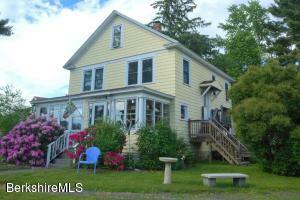 Lovely covered front porch and veranda in the back. 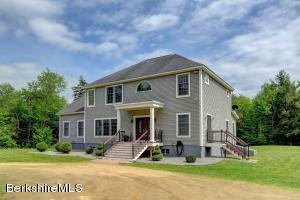 Magnificent, Spacious, Private Berkshire Family Retreat! 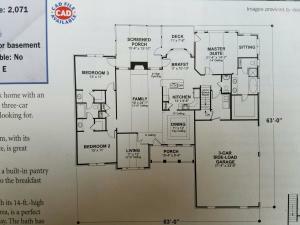 4-5 BR, 3 1/2 Baths, approx. 3,729 sq. ft., Completely Renovated in 2008, Granite & Quartz Counters in Kitchen, Fireplace in Living Room w/Bluestone Hearth & Reclaimed Hemlock Floors, Large Mudroom Between Garage & Kitchen w/Pellet Stove, Master BR Ensuite w/Walk-In Closet, Soaking Tub, Steam Shower & Towel Warmer, 3rd Floor Spacious Family Room, Office or BR & 3/4 Bath, Large Private Yard, Mature Perennials, Beautiful, Large Wrap Around Deck with Stone Fireplace for Entertaining, 21' x 21' Barn, 3 Car Heated, Oversized Garage with Storage Above & Solar Panels, Alarm System, Central VAC, Generator, Oil Heat, Buderus Furnace, Radiant Heat in Kitchen & Master Full Bath, Partially Finished Walk-Out Basement w/Pellet Stove. Motivated Seller, Make an Offer! Located in the center of downtown Lenox this property features two store fronts and a spacious apartment upstairs with three bedrooms. A great business opportunity if you would like to own your business on the bottom floor and live on the top floor This property includes six off street parking spaces which is a plus. The building was painted in 2013. New roof installed in 2008. Parking lot paved in 2014 and Both upstairs and downstairs have been remodeled over the last ten years. 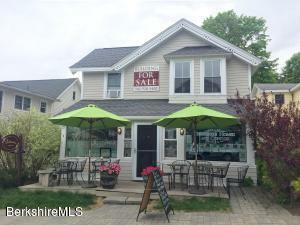 100% rented and includes a coffee shop and a real estate office.